Everybody has some songs that remind you of good times or bad times. 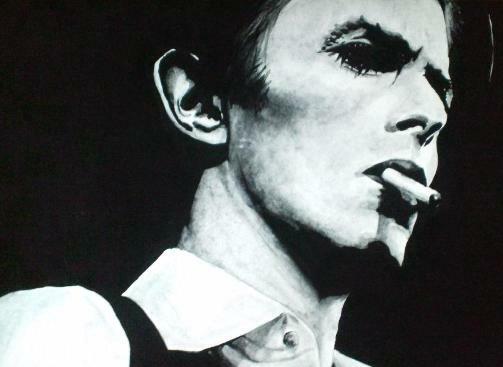 For me, David Bowie is a tool to look back at my past. If you are interested in this painting, let me know. The price is negociatable. If you want to know how much is enough, check out the other paintings of mine that I have sold:) Thanks. Feel free to drop comments, too. ３　The third box is where you write a comment. ７　If you do all of these, the message says " コメントを投稿しました。投稿したコメントはブログの持ち主が承認すると公開されます。 " which means "Your comment has been sent. It will be shown when the owner accepts it." so click OK.